Menton is close to the Italian boarder and thanks to the surrounding hills and the town’s unique microclimate the town is said to have the mildest climate on the coast. Even during the winter months the town avoids the cold winter winds and the temperature is several degrees warmer than the rest of the Riviera region. It’s mild subtropical microclimate allows the cultivation of lemons and every year the town holds the The Lemon Festival (Fête du Citron). Menton is close to the Italian boarder and thanks to the surrounding hills and the town’s unique microclimate, Menton is said to have the mildest climate on the coast. 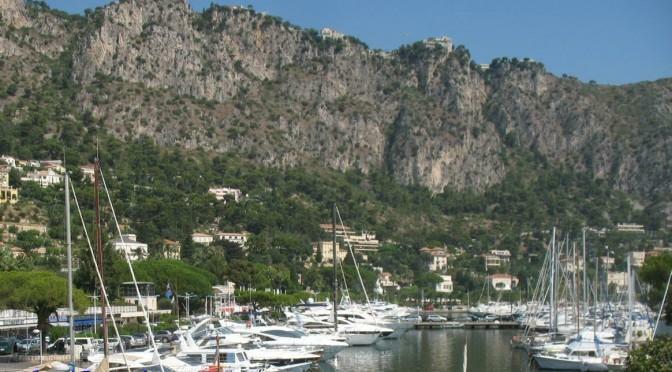 Even during the winter months the town avoids the cold winter winds and the temperature is several degrees warmer than the rest of the Riviera region. Menton’s mild subtropical microclimate allows the cultivation of lemons and every year the town holds the The Lemon Festival (Fête du Citron). From Menton the narrow winding D22 leads up to Ste- Agnès, at almost 2,625ft and the highest village on the entire coast. 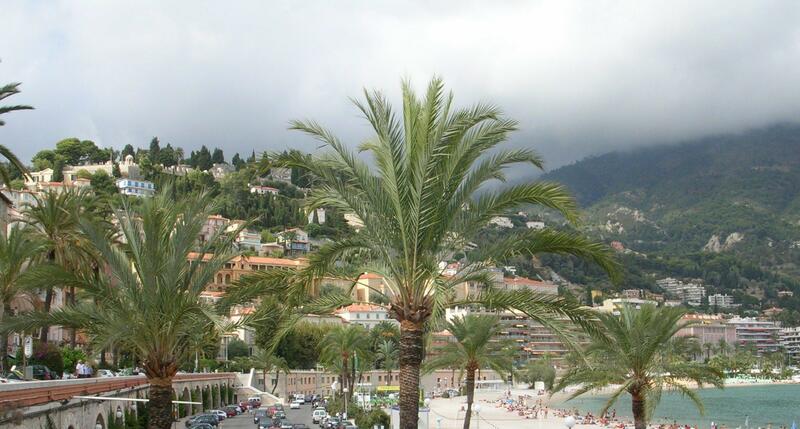 There are three buses a day from Menton. You can also drive up whilst passing under and over the huge viaducts of the A8 road. If you are a keen cyclist you may want to follow the training route of the Tour de France cyclists. Tues–Sun am: the food market can be found at the Halles. Sat am: Visit the market at the Vieux Port for clothes, and accessories. Every morning : Market at Pont du Chemin de Fer du Careï. Fête du Citron, Feb–Mar: colourful procession of floats including special entrance to the gardens. Music Festival at Monastère de l’Annonciade, July–Aug at St-Michel.